VW has a beautiful touching advertising for its Arteon model. It stars Pete Eckert, a blind photographer - no oxymoron here. 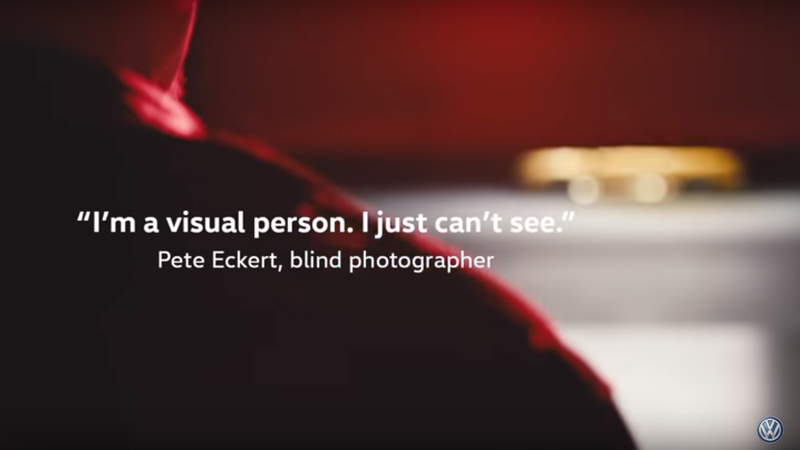 The ad is reminiscent of Al Mutanabi, the Arab poet who famously wrote "I am he whom the blind saw my literature, and whose words were heard by the deaf one". Except that VW plays on a different angle - the sensuality, the process of Eckert's work, in a very intimate even if in an non-egocentric way (championed by Al Mutanabi). Actually when the copy arrives to "beauty in every sense" - with "sense" as a double-entendre one gets the goosebumps. A lovely, moving ad from the automaker, one which blends art, humility and passion for one's craft.